Great-looking lawn always draws a crowd. Eureka Kikuyu is our budget option, ideally suited for sports grounds and larger commercial areas. That’s why you’ll find it growing at crowd-pleasing venues like the Melbourne Zoo or the Perth Cultural Centre. There’s one group of people you won’t draw attention from if you plant Eureka Kikuyu – your local Water utility. 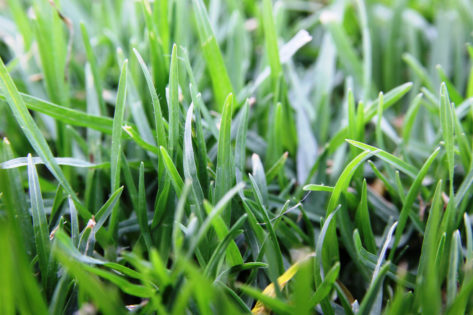 One of Eureka Kikuyu’s great benefits is that it uses less water and nutrients than most other lawn varieties. Even in our increasingly drier climate, with ever-tougher water restrictions, Eureka Kikuyu allows you to enjoy a green lawn or verge without feeling guilty about water usage. Another great benefit of this variety is its ability to withstand regular wear and tear. Eureka Kikuyu might look pretty and have a soft touch, but this is a lawn with attitude! It’s tough enough to handle all kinds of activities like backyard cricket, parties and barbeques. We’ve even tested it at a racetrack, so it’ll easily handle your herd. 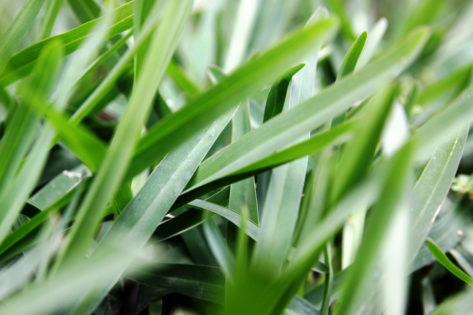 Eureka Kikuyu is a proven performer across most soil types and climatic conditions except in the tropics, and thrives in full sun or partial shade. It’s also ‘winter active’, meaning you can plant Eureka Kikuyu in the colder, wetter months and save water. The tight, dense coverage you’ll get with a Eureka Kikuyu lawn will stop weeds from intruding and eliminate the need to use chemical sprays. Give Down South Turf a call on 9753 3282 today to order your freshly cut Eureka Kikuyu turf today.